As many of you probably know, it’s pretty easy to get “attached” to Hawaii, especially if you connect with the land, the culture, and the history here. For many of us, Hawaii feels like home (even if you don’t live here). But we’re certainly not the first (nor will we be the last) to feel this way. In fact, as early as the 1920’s and 1930’s, many “mainlanders” made their way to Hawaii and stayed here. Others came and went, but always wished they were back in the islands. And, one of those migratory mainlanders was Don Blanding, known as one of the first real Hawaii ambassadors. 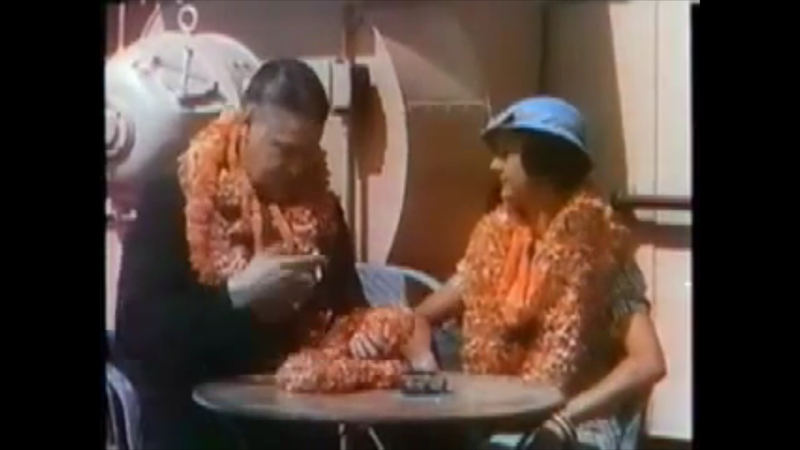 Click here to see vintage footage of Don Blanding, describing the importance of the Hawaiian lei. Don Blanding explains the importance of the Hawaii lei in 1934. Hawaii Aloha Travel recently stumbled upon an old film about the Big Island in Hawaii, narrated by Don Blanding himself, and if you have around seven-minutes, it’s a must-see! Those of you who have been to the Big Island or have always wanted to go, you’ll appreciate the “old-school” narration, the interesting camera angles, and scenery which harkens back to a time before huge buildings, highways, and resorts. In the film, called “The Island of Hawaii,” Don takes you to Kona (before it became a bustling resort), Hilo, and Hawaii Volcanoes National Park. I, for one, couldn’t believe my eyes! Could this be the same Big Island I know?! And the writing! You simply can’t find narration like that anymore — Don manages to put the viewer right in the middle of the action by using such amazingly descriptive words, you would swear you can see, hear, and touch what he’s describing. But, what’s most interesting about the film is really the juxtaposition between old Hawaii and the modern Hawaii we see today. In 1927, he suggested and founded the annual holiday, Lei Day, in Hawaii! For the complete article about Don Blanding, click here. 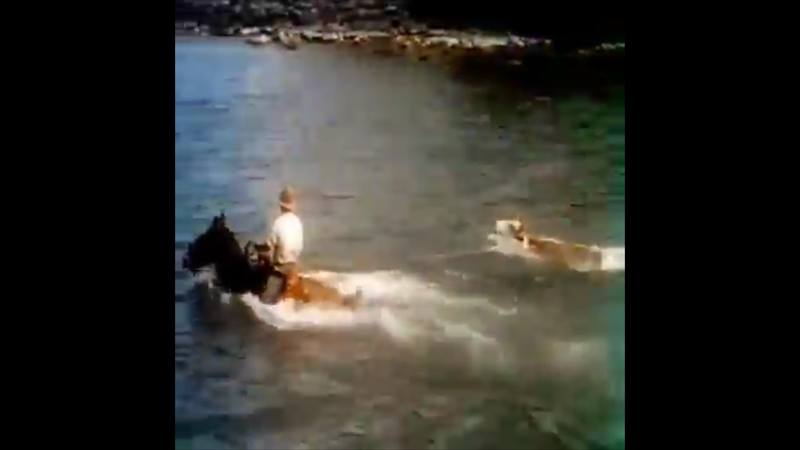 One of the neatest parts of the film includes scenes from a cattle drive, when cowboys would bring the cattle to a boat for shipment. So, have we convinced you to watch the film? Or maybe go one-step further and book a trip to the Big Island in Hawaii? Before you do anything, make sure you call Hawaii Aloha Travel first — you can customize your Big Island Circle Island Tour to see many of the same places featured in the film. Just ask your tour guide about creating a route that fits the bill. I just love vintage Hawaii ANYTHING, especially since I’ve only experienced the islands in modern times. Anything “old Hawaii” makes me wish I were here back in when the first mainlanders were arriving. For now, though, I’ll just have to live vicariously through this fascinating film!